Even in this digital-inluenced world, many technicians still use dental investments for pressing and other processes - though not on as regular a basis. Sometimes we forget some of the basics when we are not using it every day or even when we constantly use the same process. However, things do change when we are not looking! Let's take a look at what we may have forgotten, but need to remember . . .
Often, environmental changes like season change can make a difference in our casting or pressing. 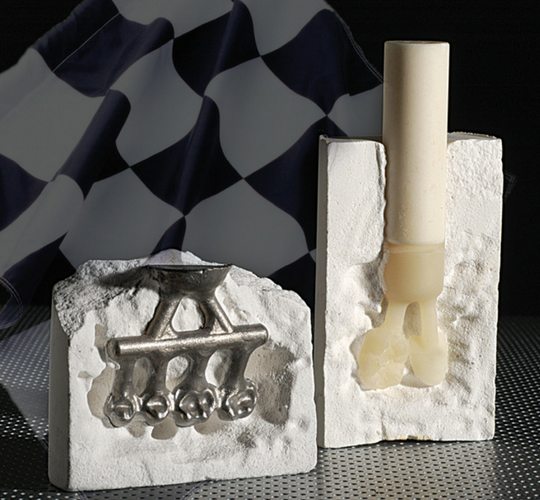 Perhaps a change in alloy or pressable ceramic brings changes that can affect dimensions. Let's take some time to review how to make those ratio changes that can make all of the difference. We are not able give you an exact number that correlates to your specific increase or decrease, but we can certainly get you going the right direction. In most cases, you won't need to change the Liquid-to-Powder (L:P) ratio. This is set from the manufacturer. For example, if you are using 100 grams of a certain powder, the manufacturer will tell you the total liquid number, for example, 24ml. Keep this ratio unless you have discussed this with the manufacturer's technical support people. With phosphate investments, it is the Special Liquid (Colloidal Silica), which drives most of the chemical expansion during the Bench Set. If you were to use 100% special liquid (in our example 24ml) with 100 grams of powder, you would get the investment's highest expansion. Therefore, if the coping, crown, or bridge were too tight you would want to head in this direction. 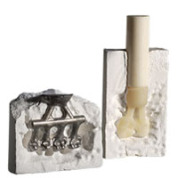 The opposite is true if the fit is too loose and you are trying to make a casting or pressing tighter. To do this, you would reduce the amount of the Special Liquid but you always keep the total volume of the liquid needed for the powder (L:W liquid-to-water ratio). For example, you would reduce the Special Liquid to 20ml, but you would replace the reduction with water so that you would again have a total of 24ml. Just to be safe, use distilled water for this purpose. Remember that inlays or post/cores need to be a bit smaller than copings or onlays. If you are struggling with non-fitting post and cores, which you cast with your other copings, this is most likely the problem. For bridgework, where the copings individually fit but the bridge does not, give us a call and we can help you find a process to correct that condition. To explore the subject further and in more depth, download our information-packed investment eBook.